Exhausted soils cannot grow healthy, nutrient-rich food, so the real work of organic growers is the building and nurturing of strong, healthy soil.using organic composts, cover crops and manures. The nutrient values of harvested food are linked primarily to the biological activity of the microbes, organic matter, and mineral composition of the soil, along with the genetics and quality of the seeds. Nutrient-rich, healthy, strong soil leads to healthy, strong crops. Healthy, strong crops, lead to healthy, strong people. Probably the biggest misconception about growing organic vegetables is that many people mistakenly believe that the only thing organic farmers and gardeners do is forgo the use of toxic chemical herbicides, insecticides and fungicides. However, that’s only one small part..Real national health insurance should start with reestablishing and protecting healthy soil. But, do they work? That depends on your definition of ‘work.’ During the last 50 years, those short-sighted, profit-driven farming methods have ‘worked’ to destroy over 50% of the topsoil needed for food production. Extensive topsoil has been lost through the overuse of synthetic fertilizers, erosion and farming practices that deplete soil nutrients. Agricultural decisions made for economic reasons alone are proving disastrous. When nutrients are applied in synthetic forms, they leach or pass through the soil more quickly than nutrients derived from manures, composts, or cover crops. When synthetic forms of nitrogen, phosphorus and potassium are applied topically, rather than through strong, healthy soil, they are easily flushed out by wind and rain. In short, organic soil hangs onto more of its “good stuff” for a longer period of time, while chemical systems can lose the “good stuff” more quickly. In only seventy years, our current chemical-based agricultural system is already showing major weaknesses—depleted soil, poisoned water, negative impacts on human and environmental health, and dysfunctional rural communities. We should be directing our valuable time and resources working towards a truly sustainable food production system based on sound biological principles. Numerous studies have begun to capture the true extent of how our low-level exposure to pesticides could be quietly causing serious health problems in our population. Our topsoil isn’t the only casualty of conventional farming. The toxins are nearly inescapable in the water we drink, the food we eat and the air we breathe. More than 17,000 pesticide products for agricultural and non-agricultural use are currently on the market. Exposure to these chemicals has been linked to brain/central nervous system disruption, breast, colon, lung, ovarian, pancreatic, kidney, testicular, and stomach and other cancers.Pesticides (including ones that have been banned for years) have been found in breast milk and umbilical cord blood. How can we be expected to look out for the 7th generation when we can’t even protect the next generation from conventional farming? Michael Pollan, author of The Omnivore’s Dilema, points out that the unintended consequences of modern farming methods including, tainted soil and depleted aquifers is one reason to look for new strategies. And in that sense what’s old is new again. Timetested, organic farming methods are way forward. To repair our food system, we must focus on the basics—soil health and water quality—and how we can improve upon these natural resources so that we return as much as we take, thus ensuring our future. By building and improving soil health, utilizing organic practices to fix nutrients in the soil, encouraging biodiversity, and greatly minimizing synthetic inputs, organic producers are ensuring the sustainability of the system indefinitely. Not just feeding the world’s growing population today, or tomorrow, but far into the foreseeable future. In addition to producing more nutrient rich food, strong soils can also produce resilient plants that are less suseptable to enviromental challenges. Results from the 30-year Farm Systems Trial conducted by the Rodale Institute in rural Pennsylvania demonstrated that organic corn yields were 31% higher than conventional farming yields in years of drought. These drought year yields are especially remarkable when compared to genetically engineered supposedly “drought tolerant” varieties which saw increases of only 6% to 13% over conventional (non-drought resistant) varieties. Plants grown from healthy soil are also more resistant to pests. Conventional gardens and farms systems rely heavily on highly toxic pesticides. Those pesticides are by name, definition, and purpose, designed to kill. Humans living in farming areas are often exposed to significant amounts of dozens of different pesticides not only in their food but in the air and groundwater as well, it’s inescapable. Organic practices completely eliminate those hazards. There is ample evidence that foods grown from rich organic soil are more nutritious. 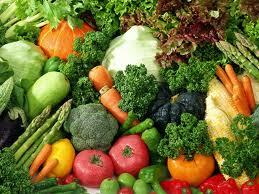 In addition organic farm and garden practices are safer for all aspects of the environment. All living creatures and ecosystems benefit from sustainable organic growing practices- from the soil microorganisms and earthworms, to our children, grandchildren and pets. Thinking for now, and for 7 generations into the future, organic farming and gardening practice that will create the greatest long-term yield for our health and planet.It’s the ethical and smart choice.